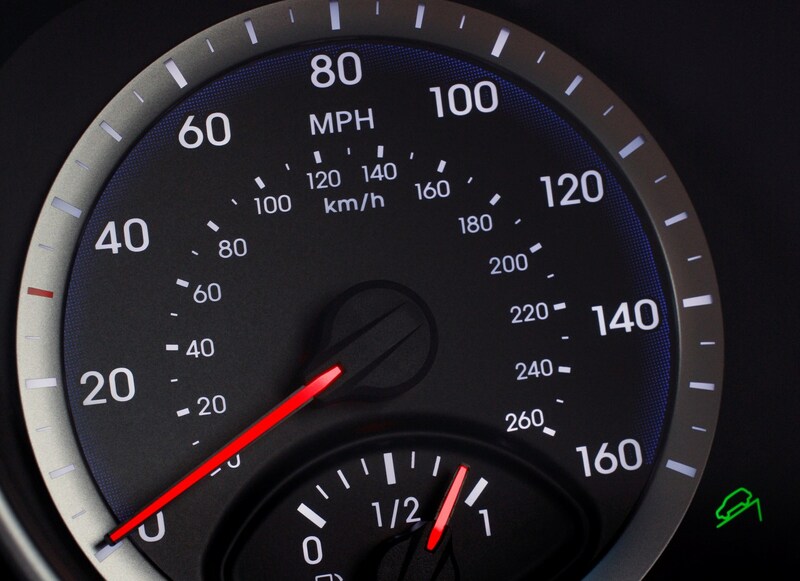 Insurance group: 18 - 31 How much is it to insure? 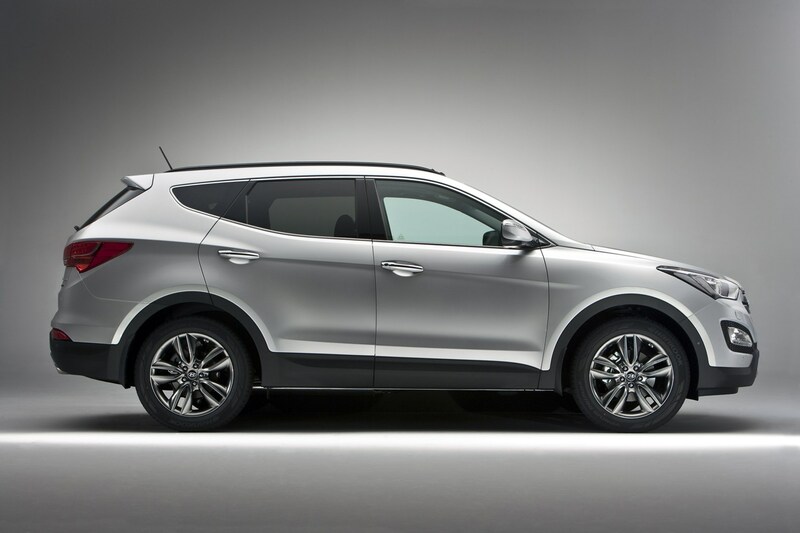 The previous-generation Hyundai Santa Fe, although practical and solid, was not exactly exciting. 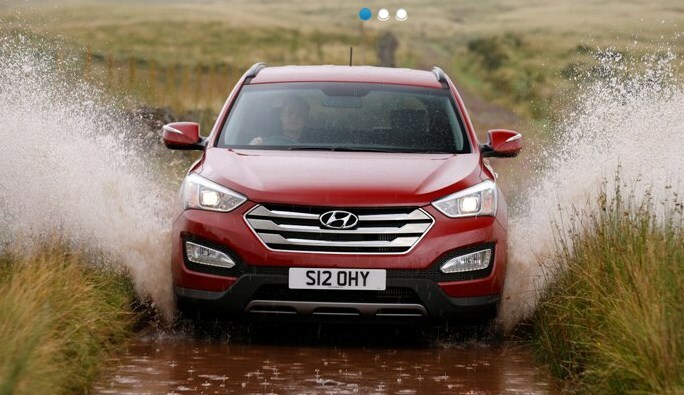 This new incarnation of the well-respected and popular 4x4 is arguably more striking and now ready to take on rivals in the looks, as well as the value-for-money, stakes. 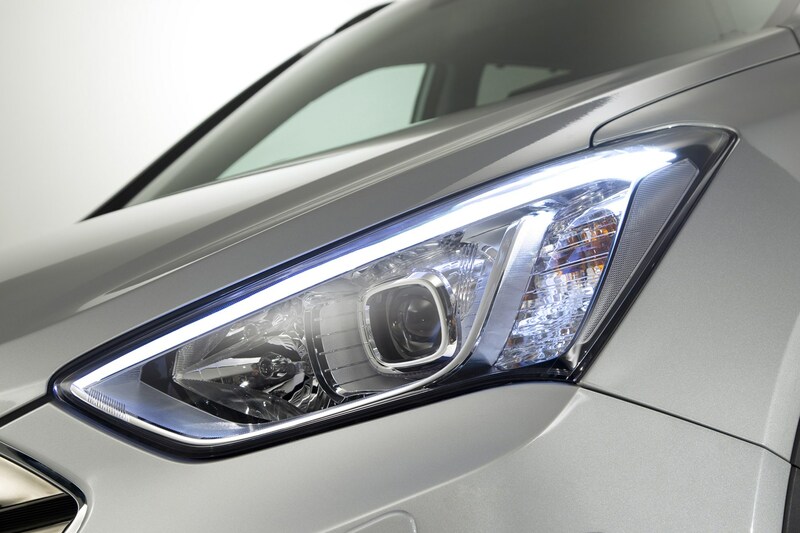 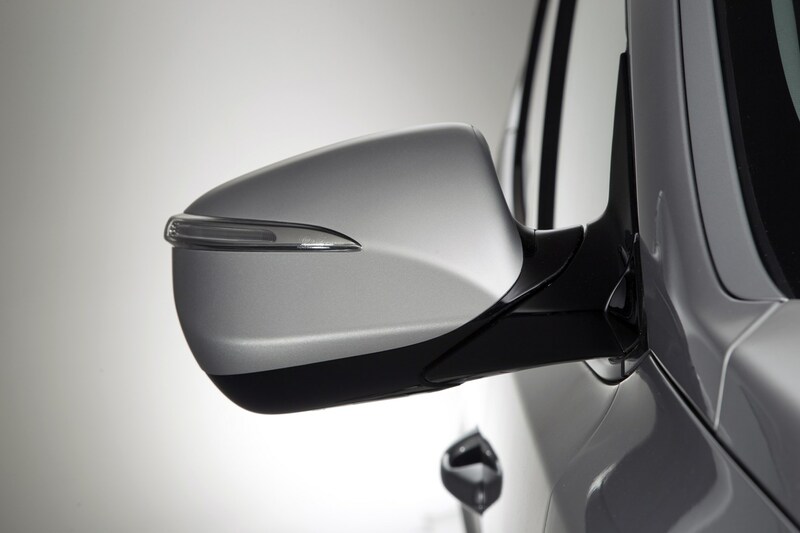 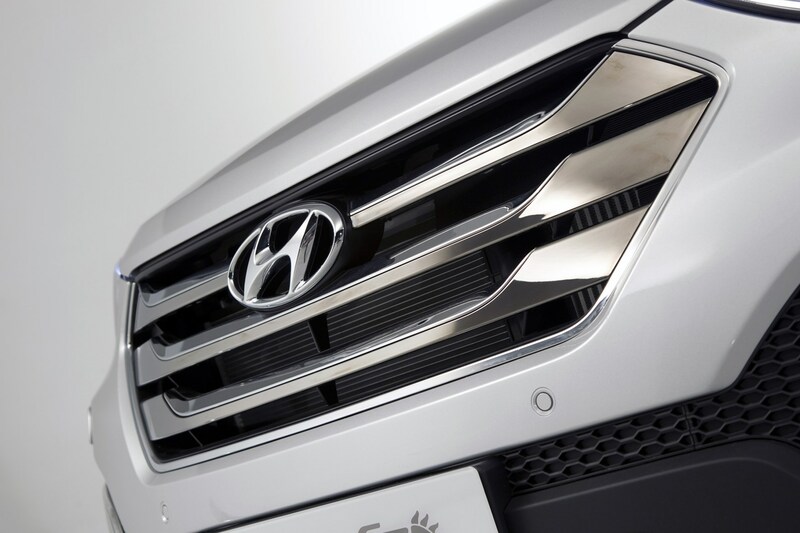 The Korean manufacturer is anxious to point out the freshened-up styling, saying the inspiration has come from shapes created during the formation of a storm. 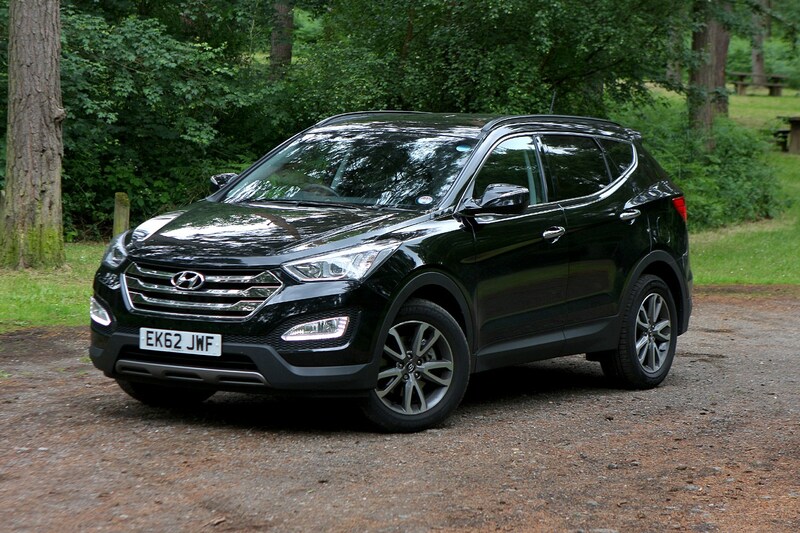 Of course, this rings the ‘pretentious, moi?’ alarm bells but it’s fair to say that the Santa Fe is easier on the eye this time around. 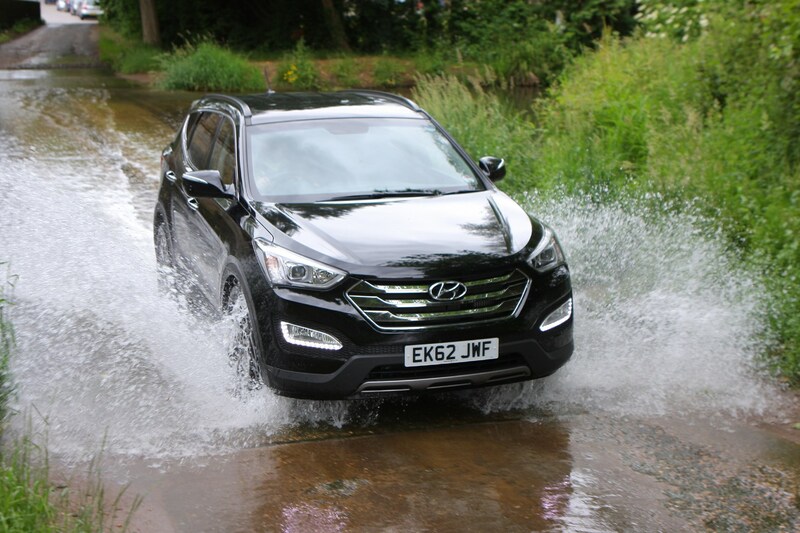 It aims to take on the likes of the Nissan X-Trail, a robust and capable 4x4 with excellent build quality and a functional interior. 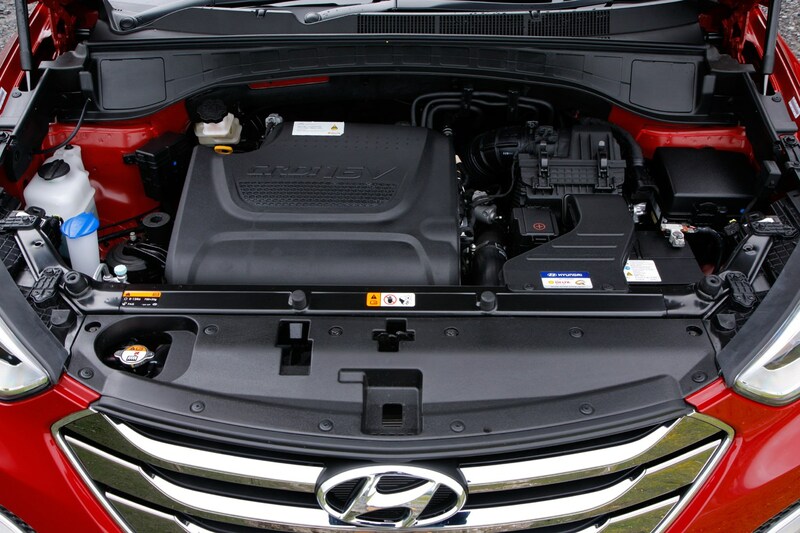 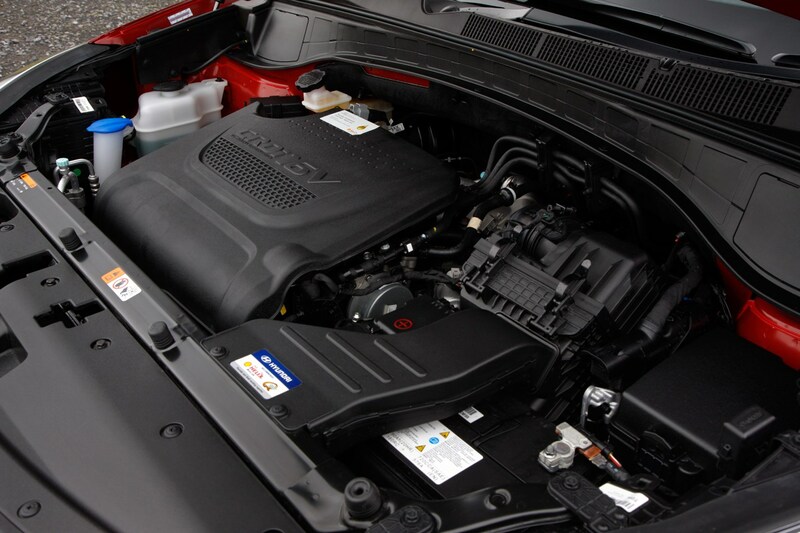 There’s just one engine for the Santa Fe: a 2.2-litre turbocharged diesel unit making 195bhp and 421Nm of torque. 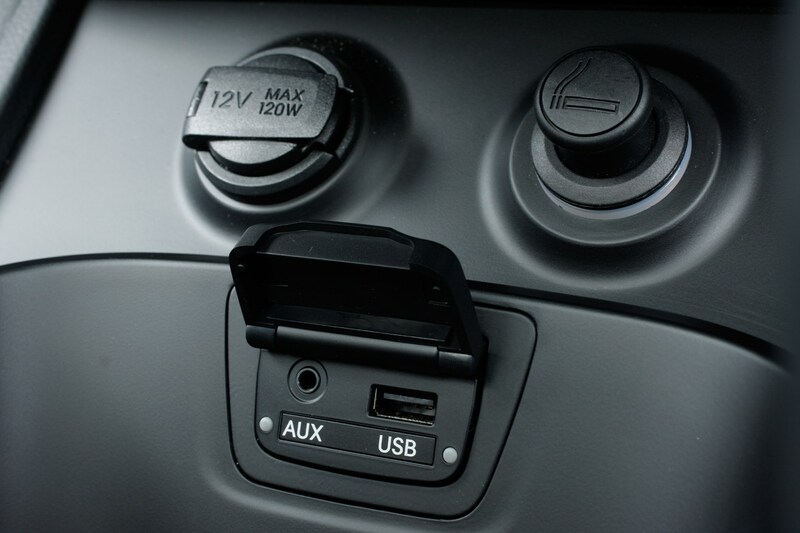 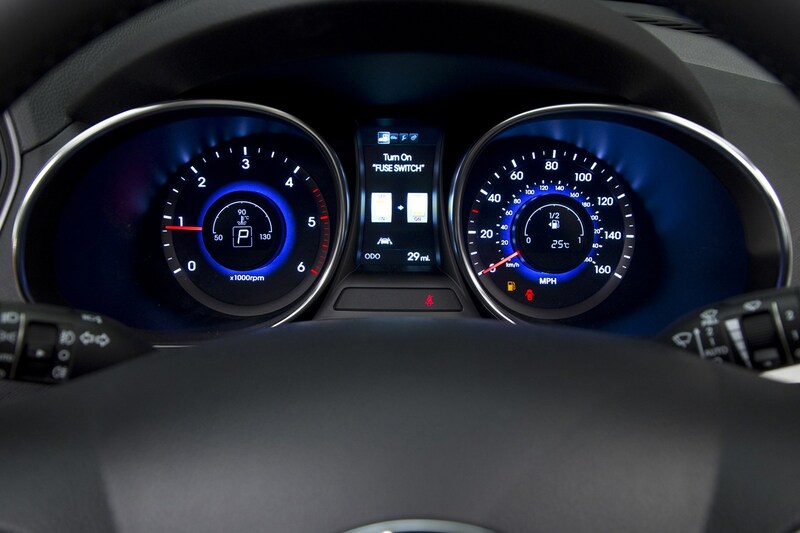 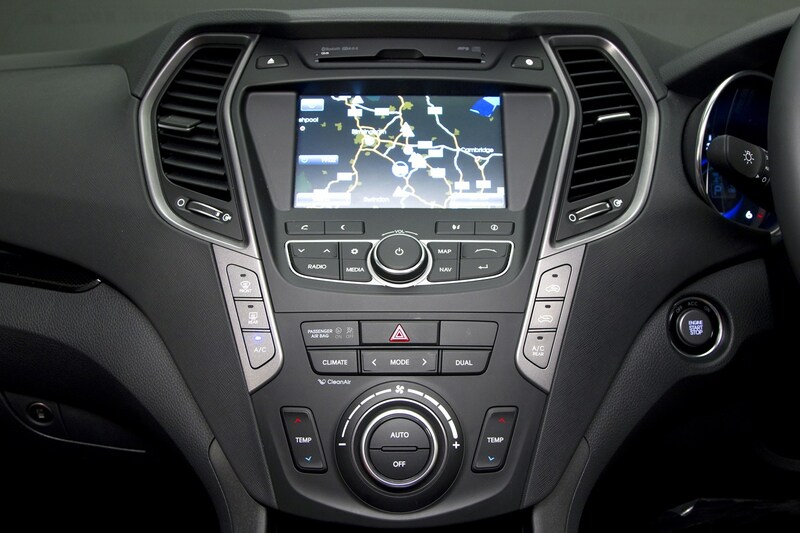 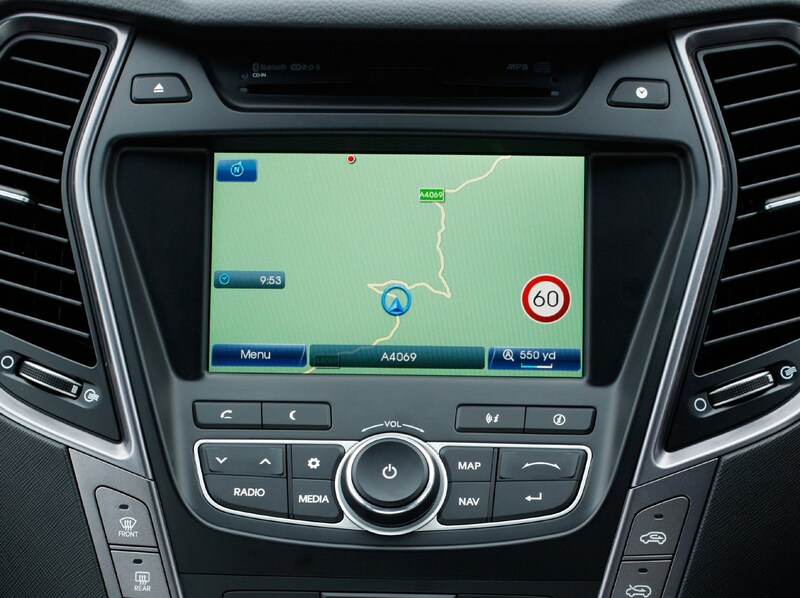 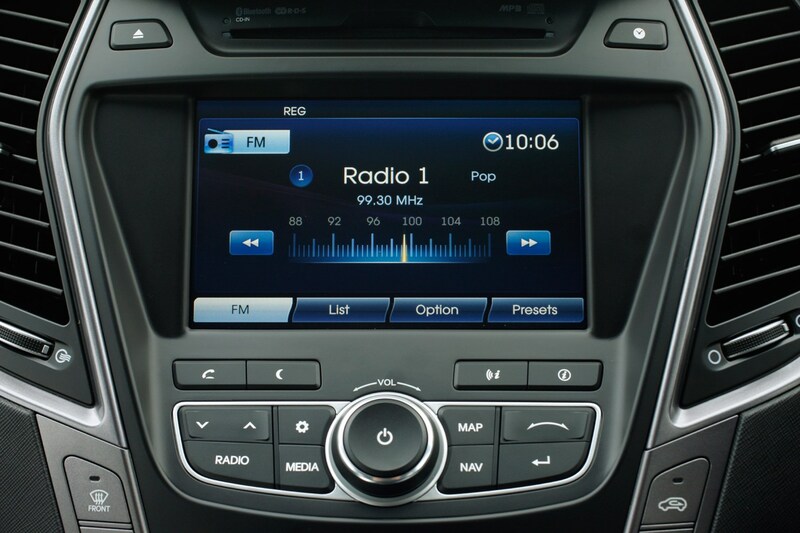 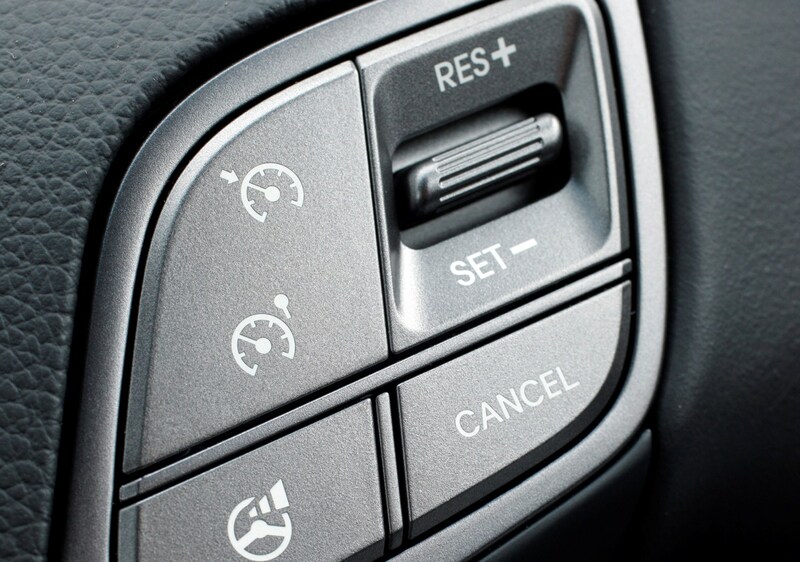 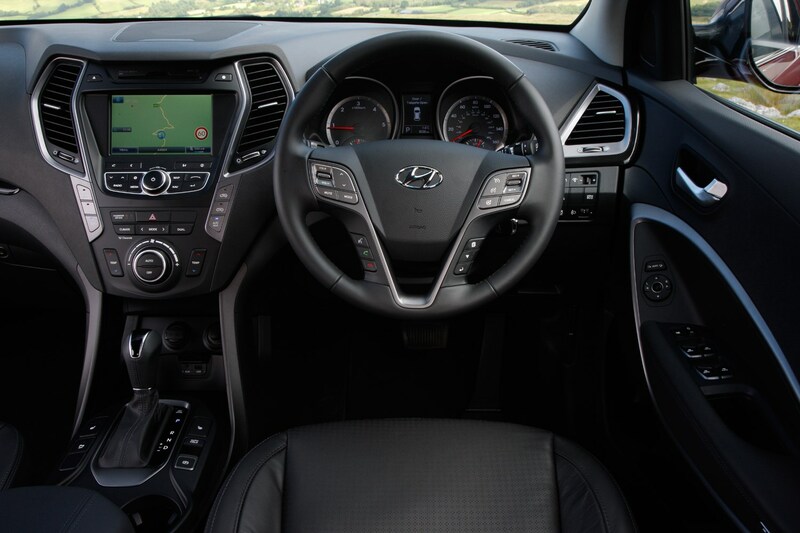 It’s coupled to either a six-speed manual or six-speed automatic gearbox. 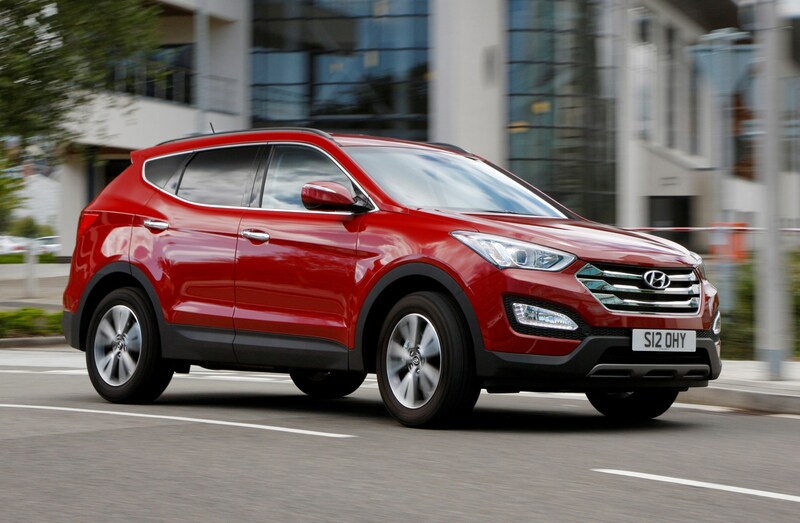 The six-speed auto is worth a look: it weighs 12kg less than the previous version and that has helped improved fuel economy by up to 12%. 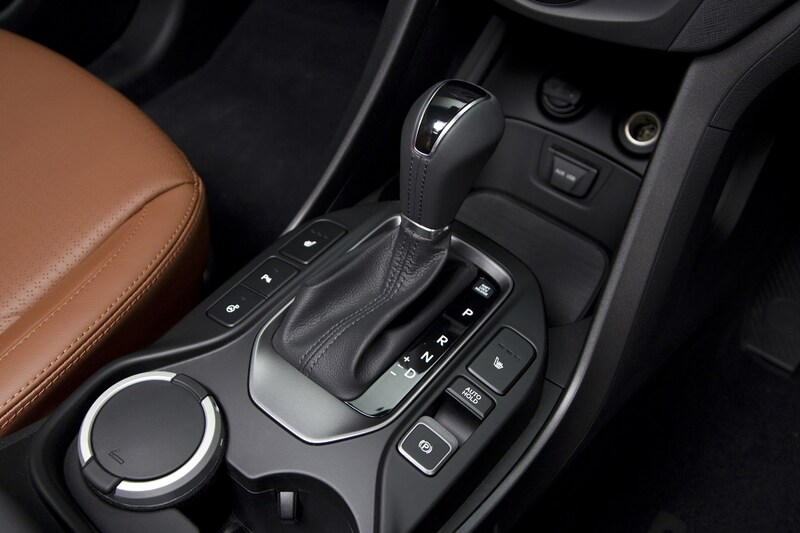 The manual gearbox is the one to choose if you enjoy driving, though. 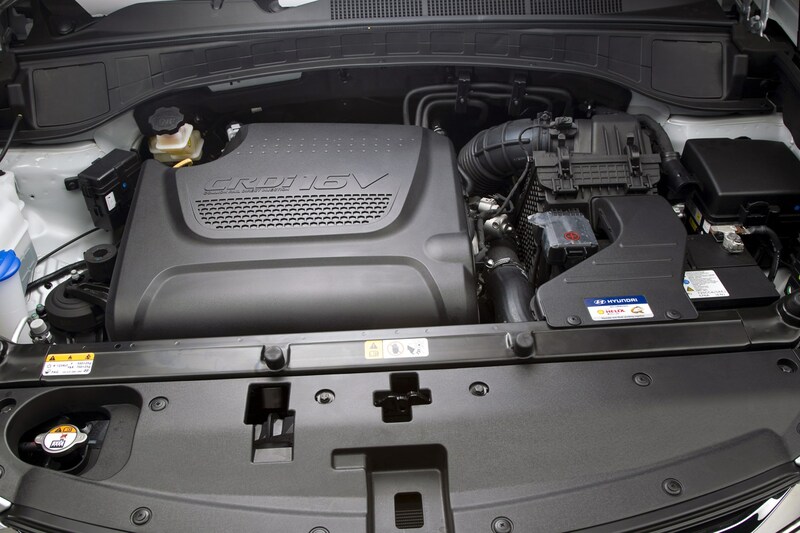 It’s a robust-feeling and versatile gearbox which really highlights the strengths of the smooth diesel engine. 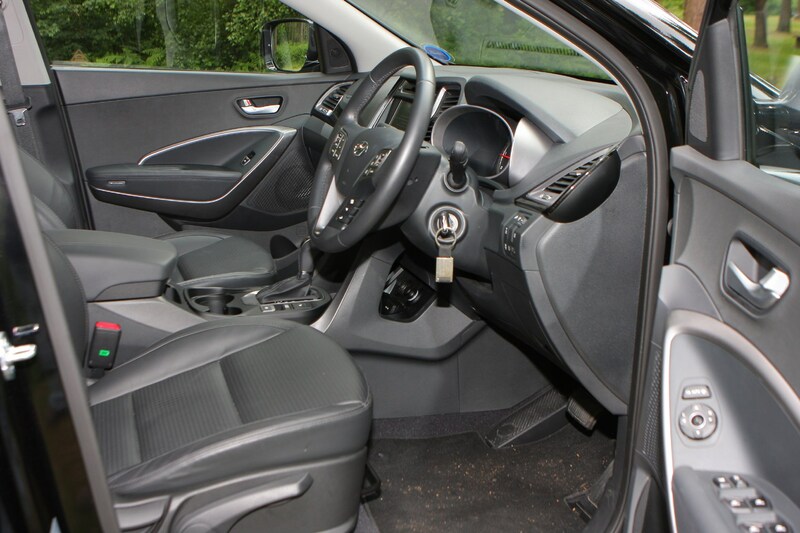 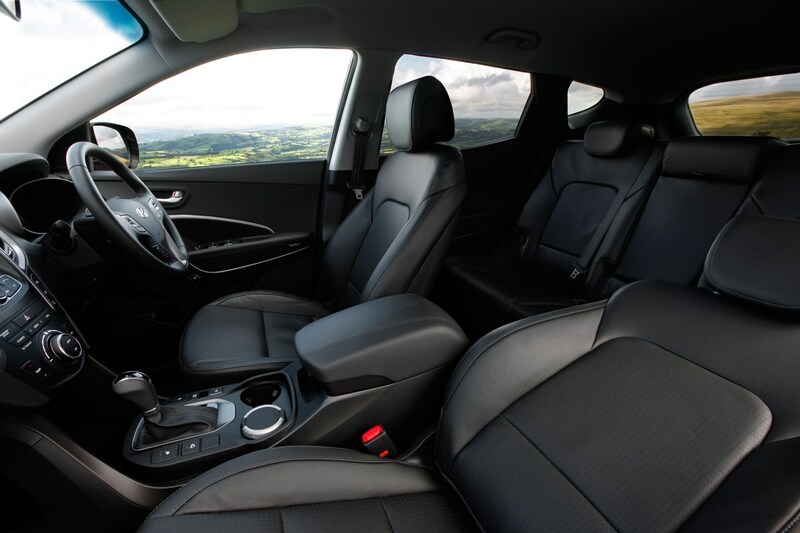 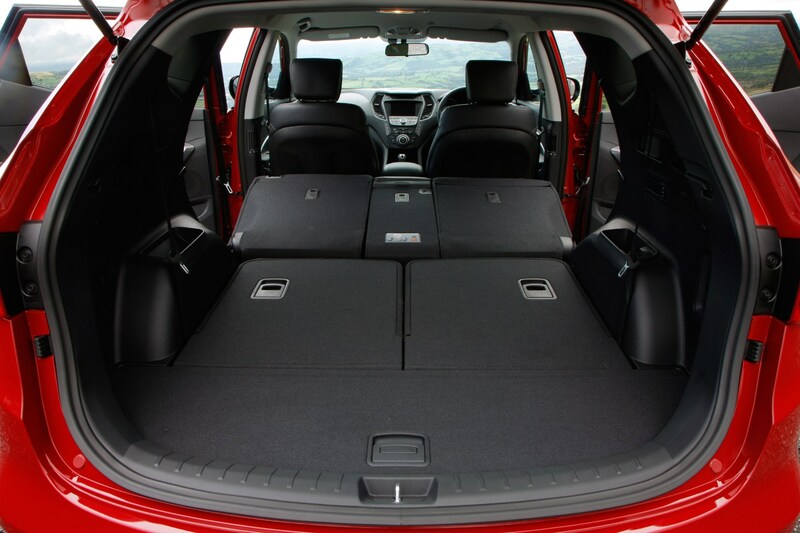 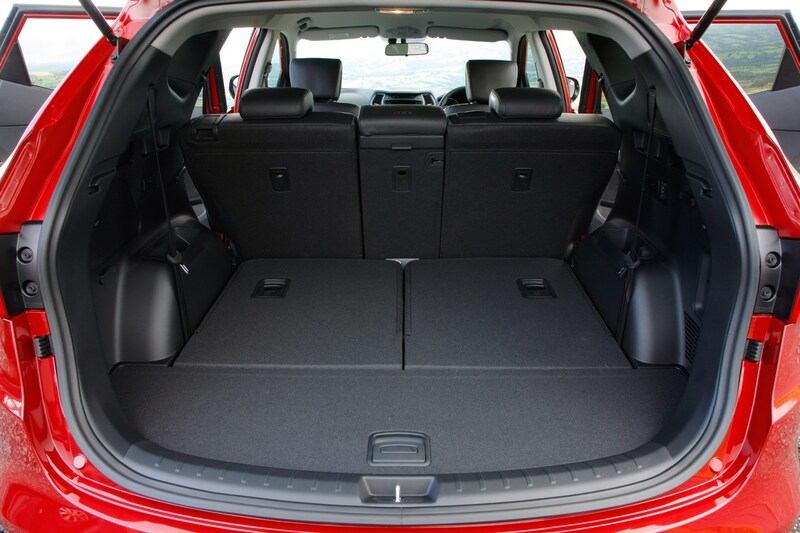 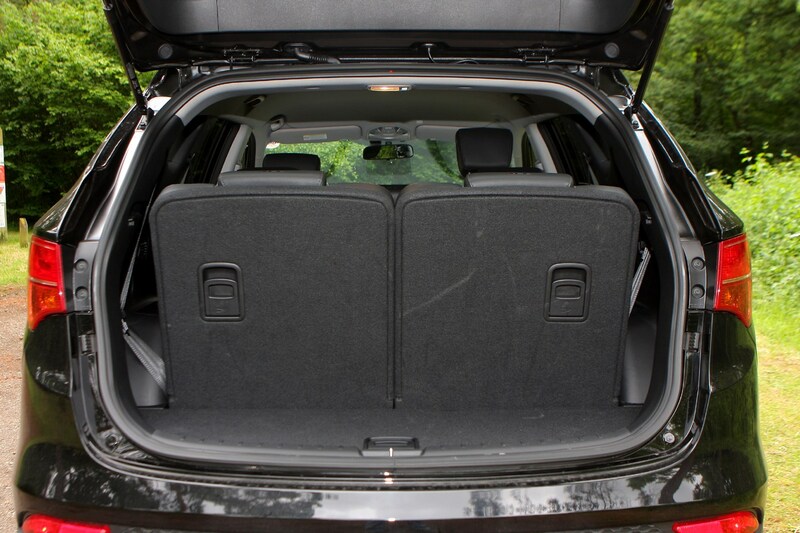 Although the previous model was roomy, front and second-row legroom has been increased by 38mm and 45mm respectively and there's a 37mm deeper boot which has increased bootspace to 534 litres. 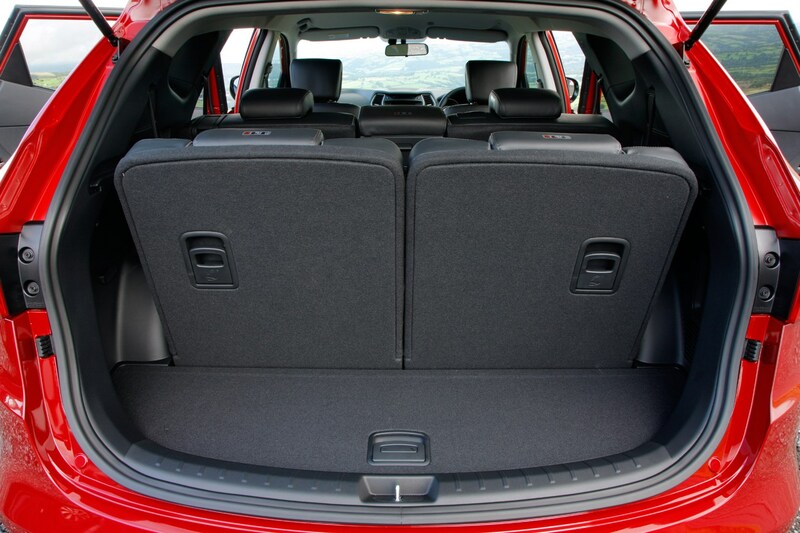 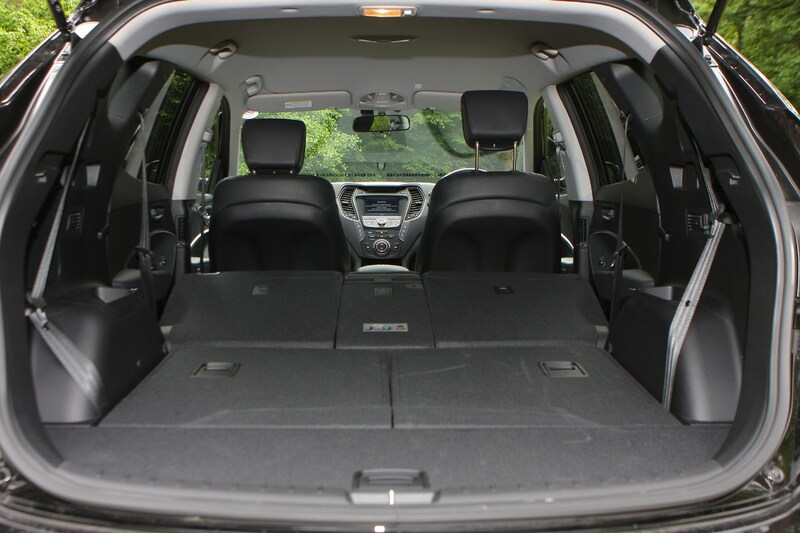 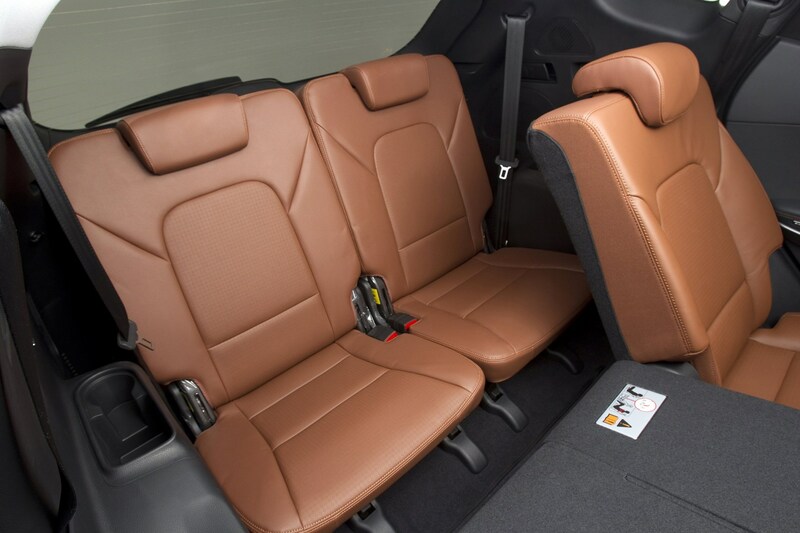 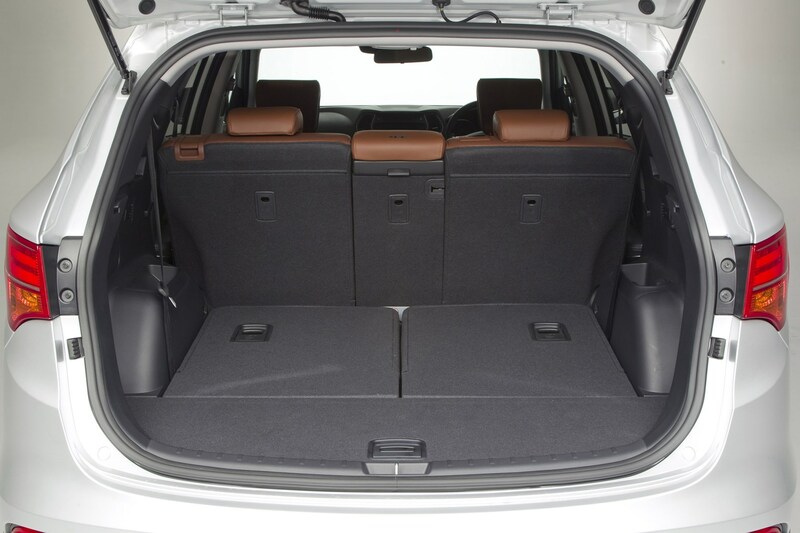 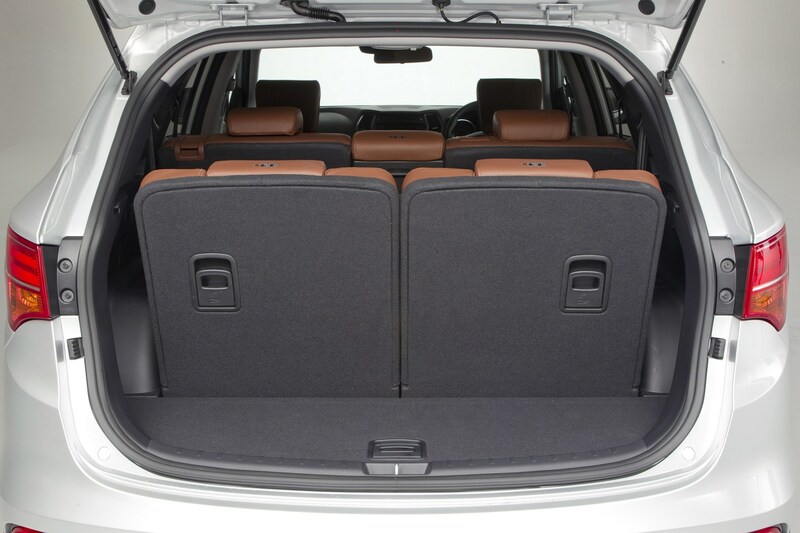 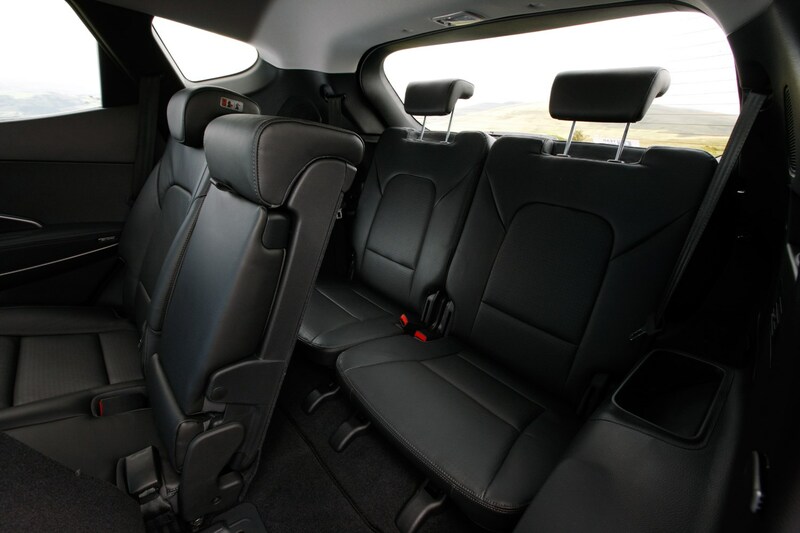 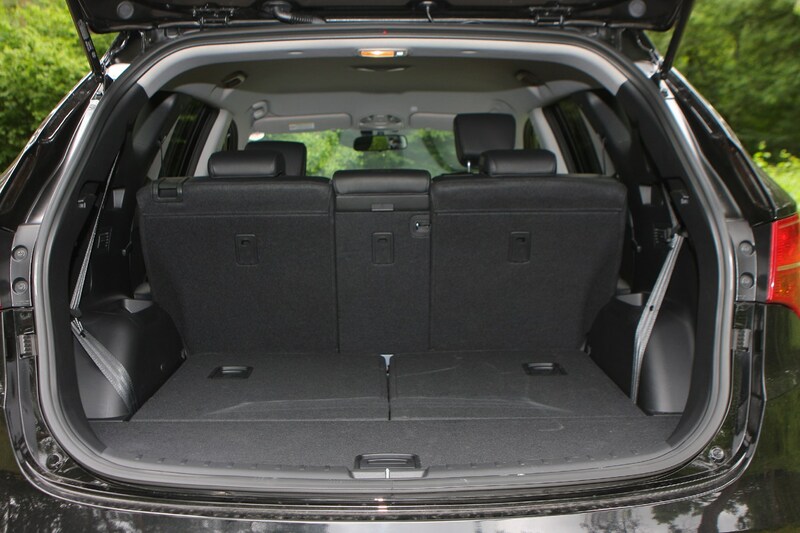 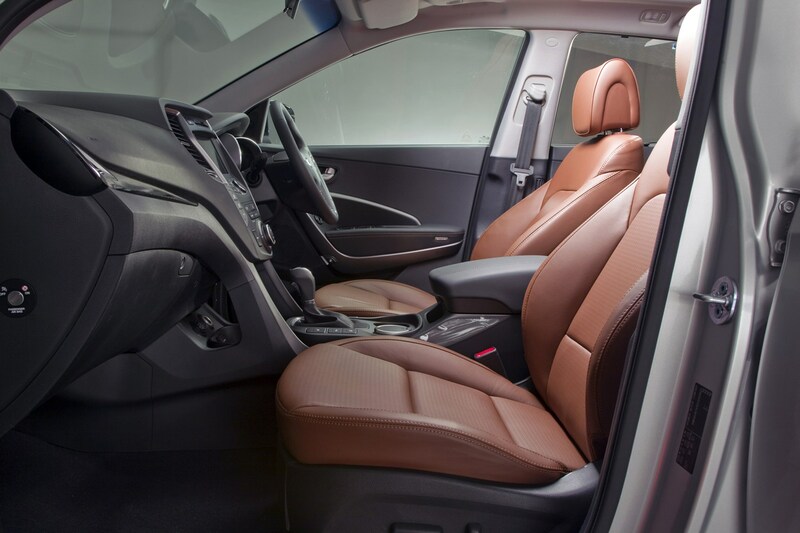 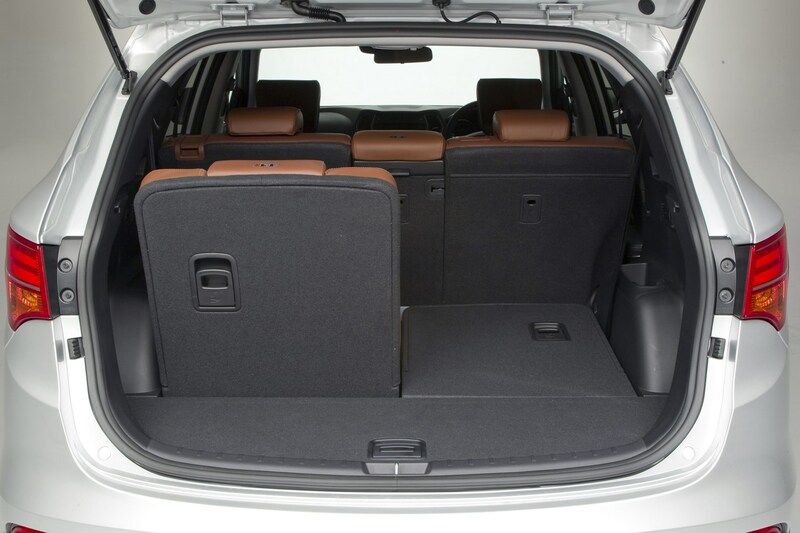 Folding the second row of seats down flat using the one-touch controls, the boot capacity increases to 1,615 litres. 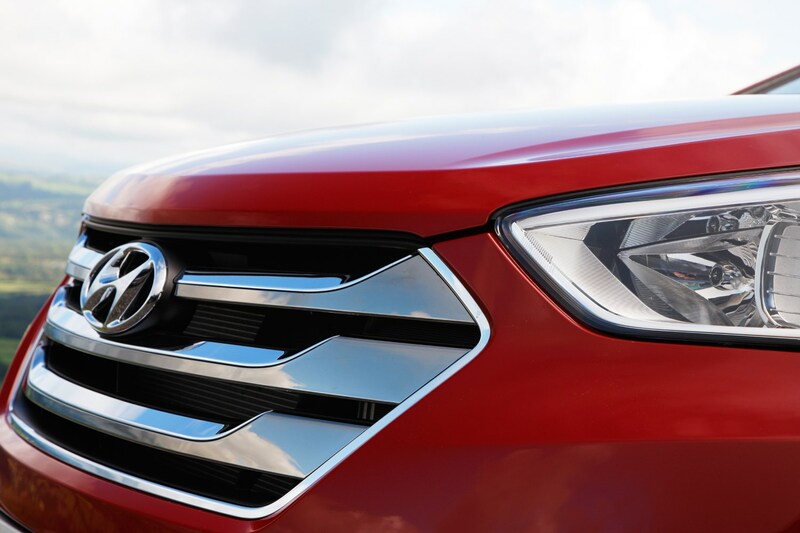 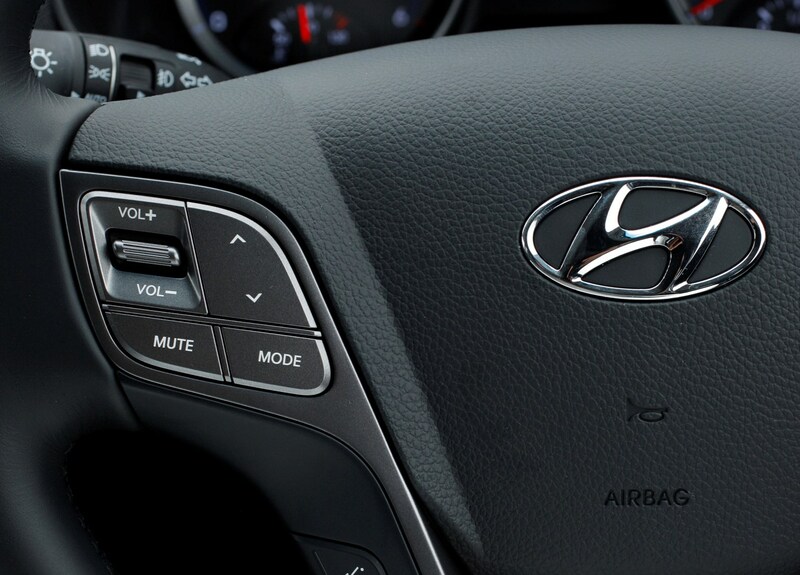 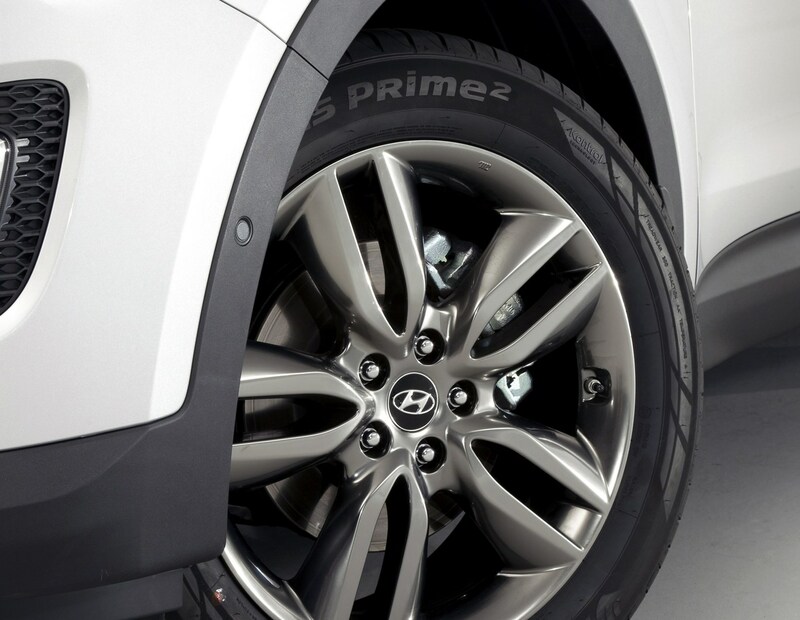 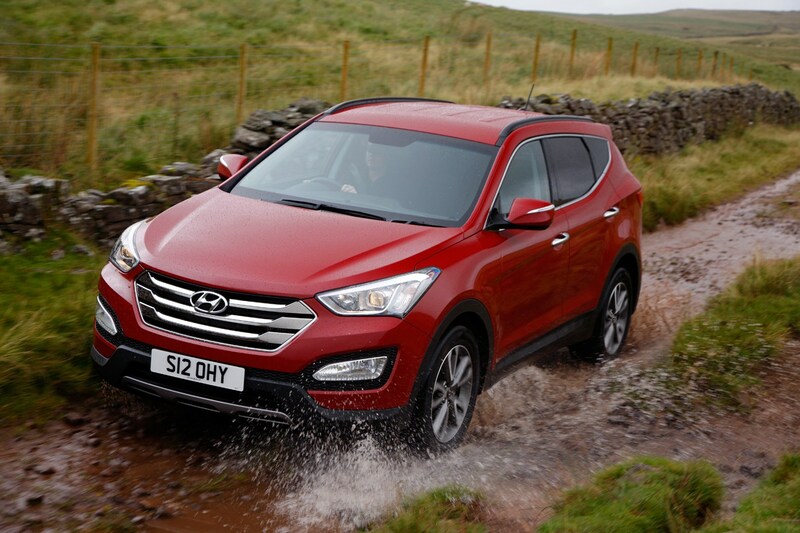 All Santa Fe models are available in either all-wheel-drive or front-wheel-drive configuration and standard equipment includes seven airbags, a safety, service and infotainment telematics system, hillstart assist and Downhill Brake Control to maximise control on steep hills. 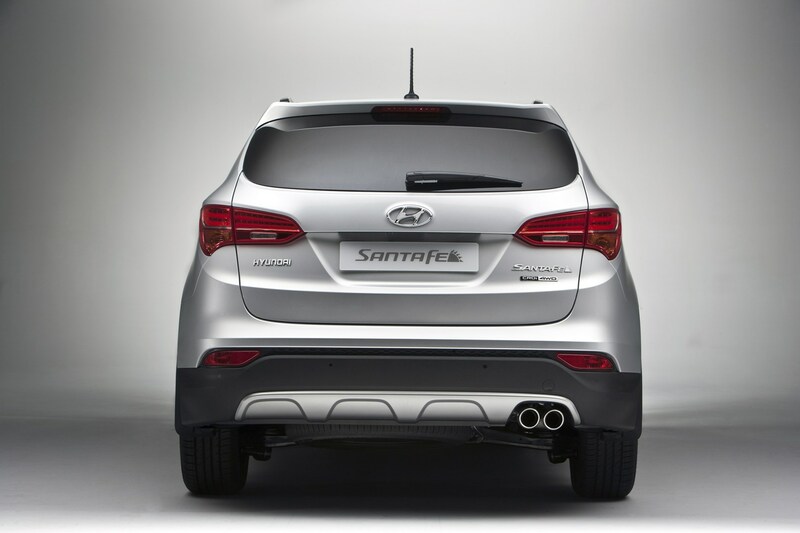 Although it’ll spend most of its life on the roads, the Santa Fe can cut it off road too. 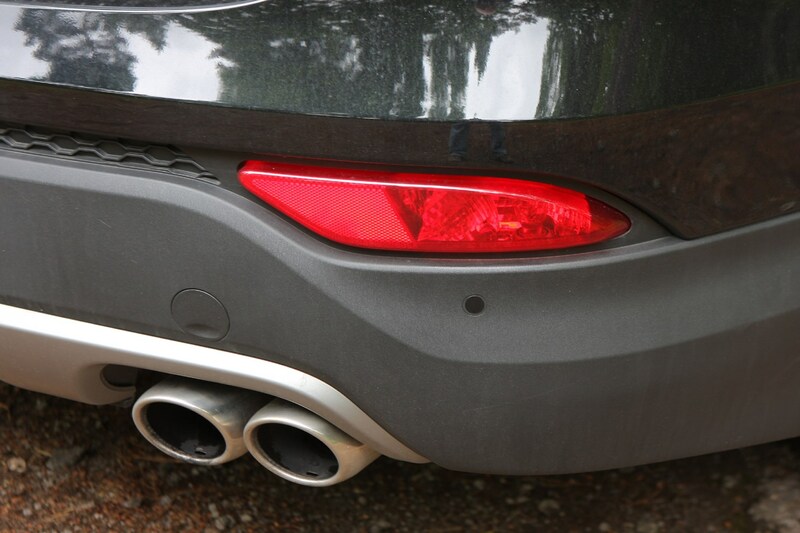 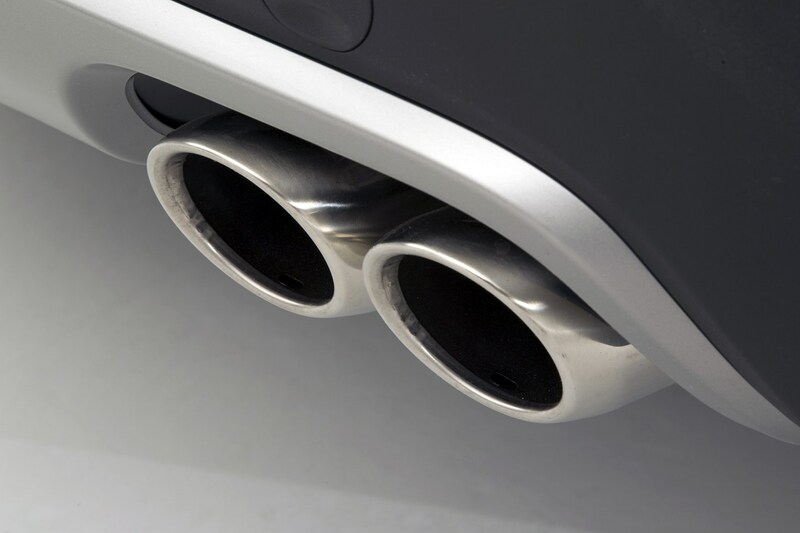 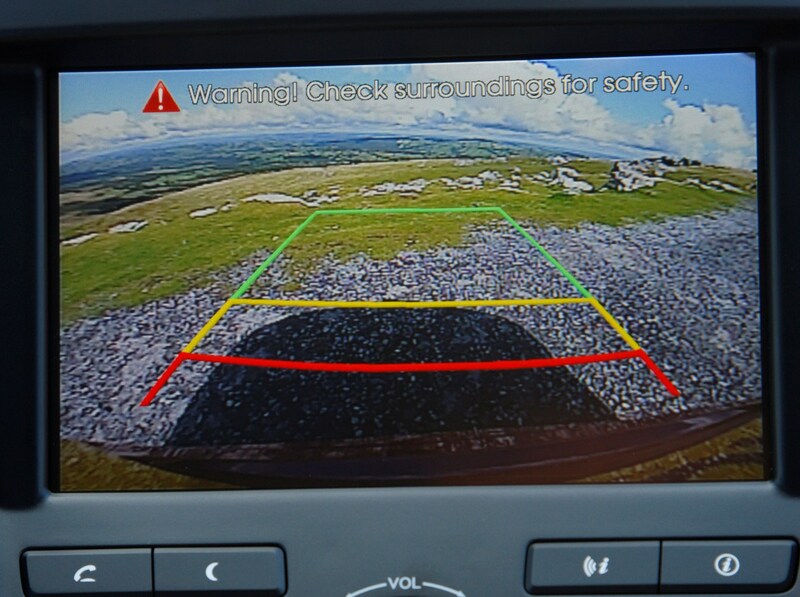 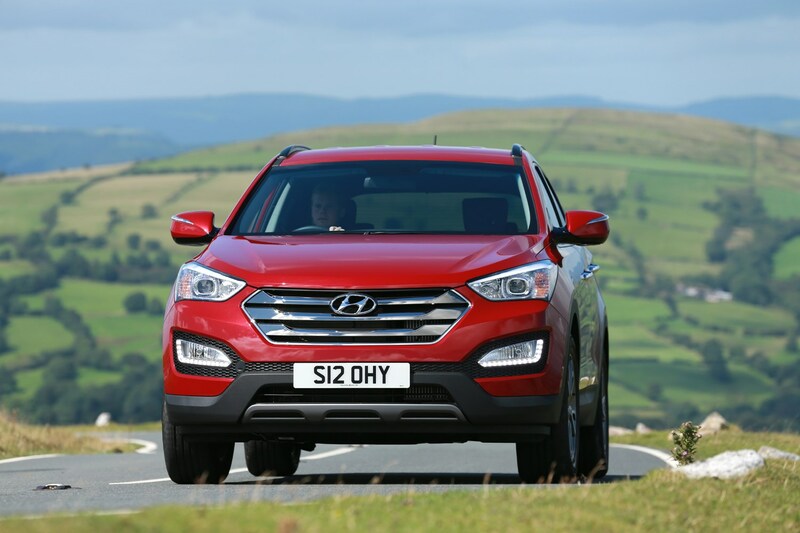 It is good for towing too, as some models have a braked towing weight of up to 2,500kg. 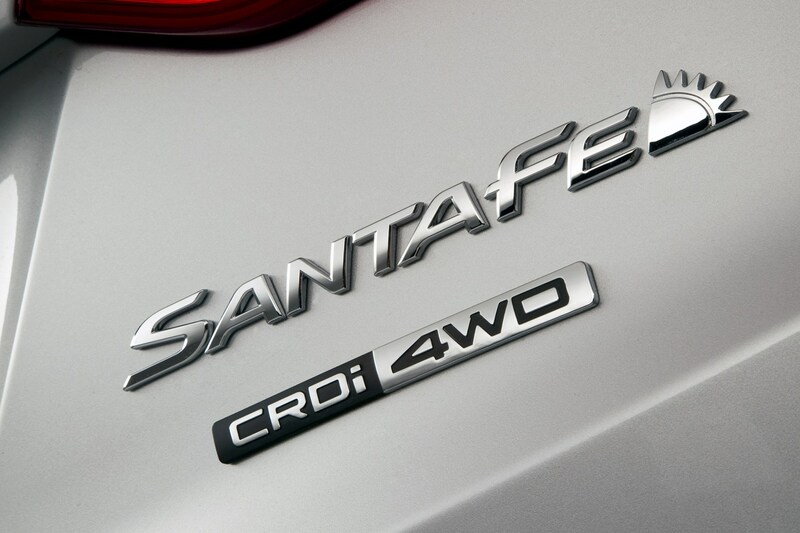 This new model promises much, then. 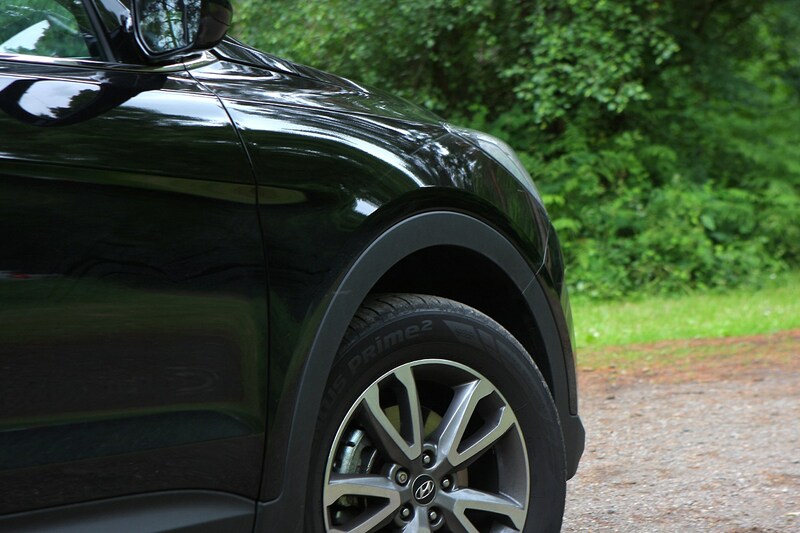 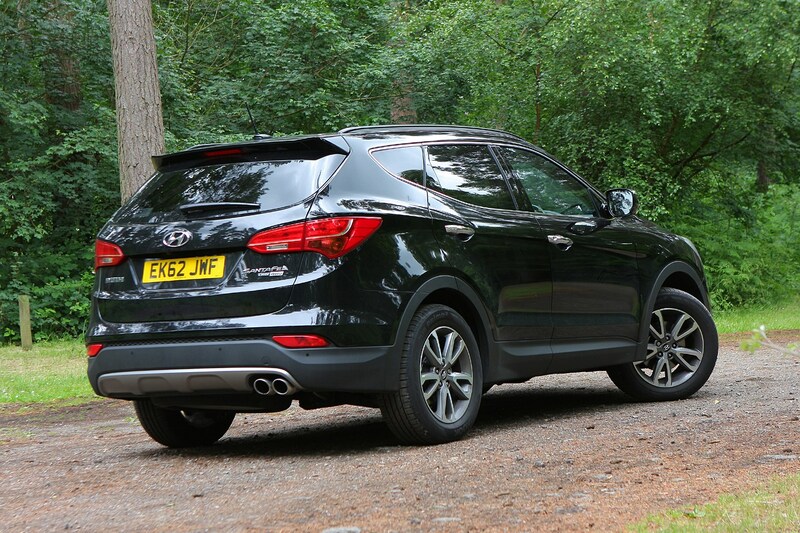 To find out if it can cut the mustard on the road, read on for our comprehensive Hyundai Santa Fe review. 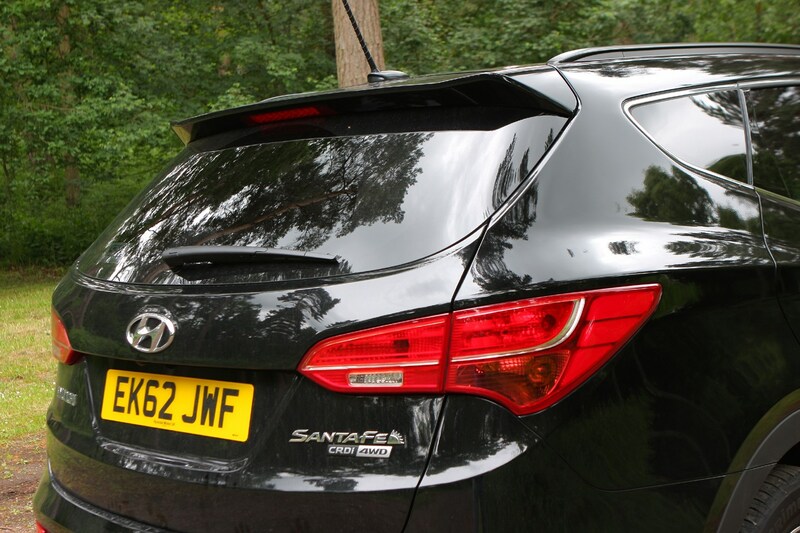 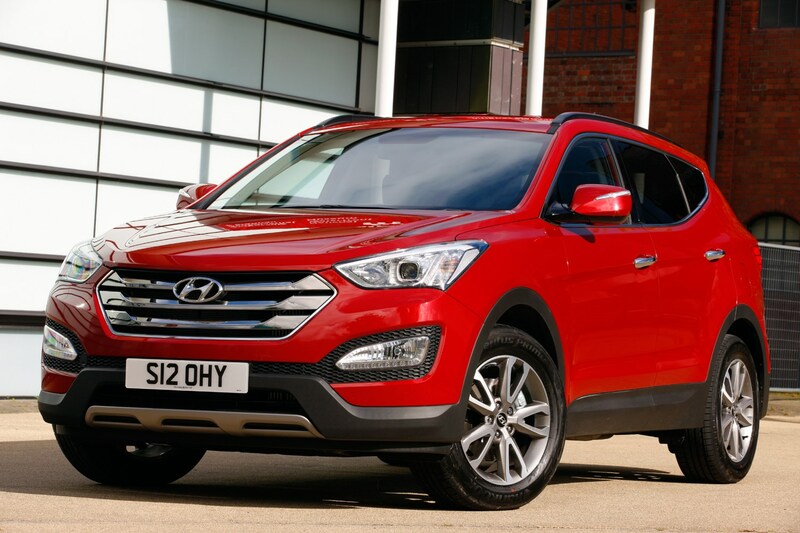 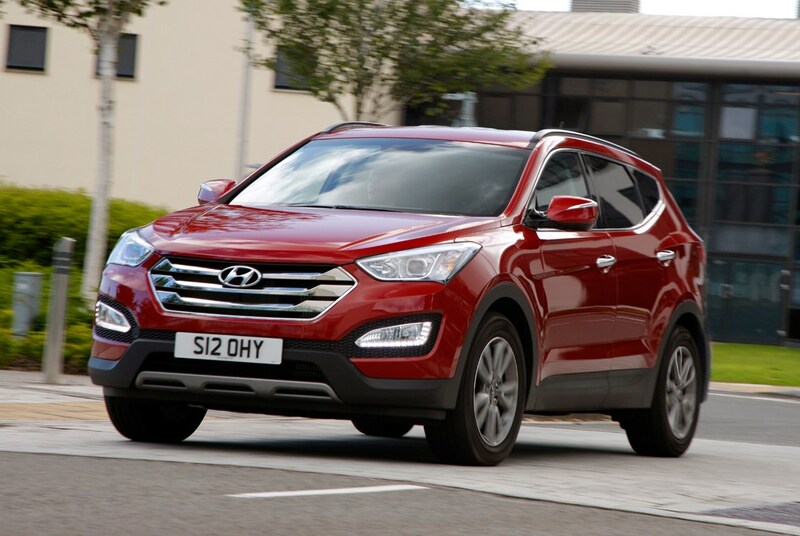 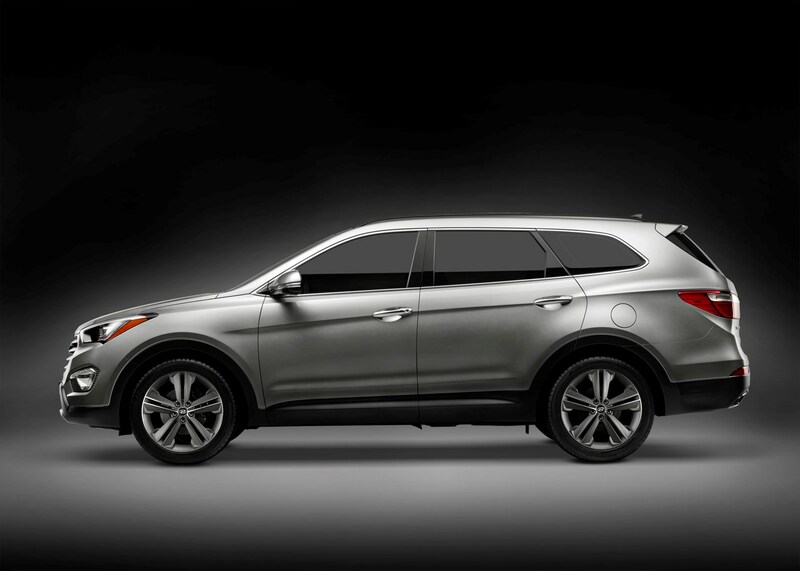 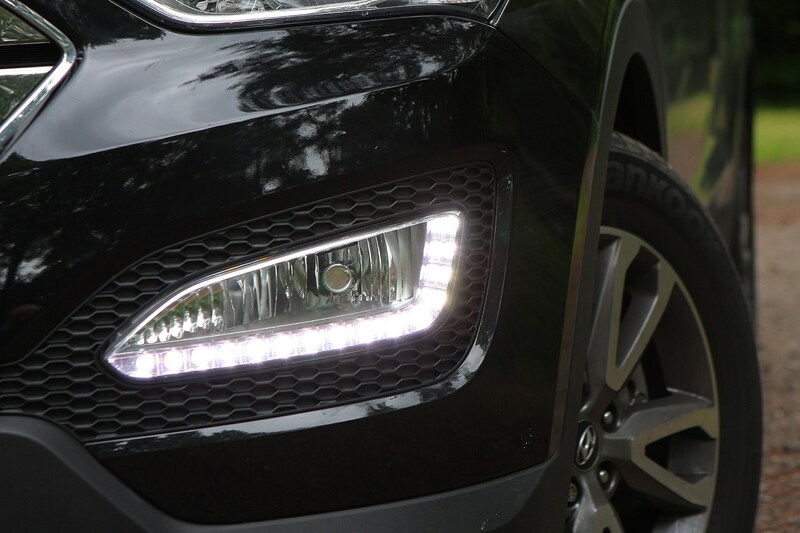 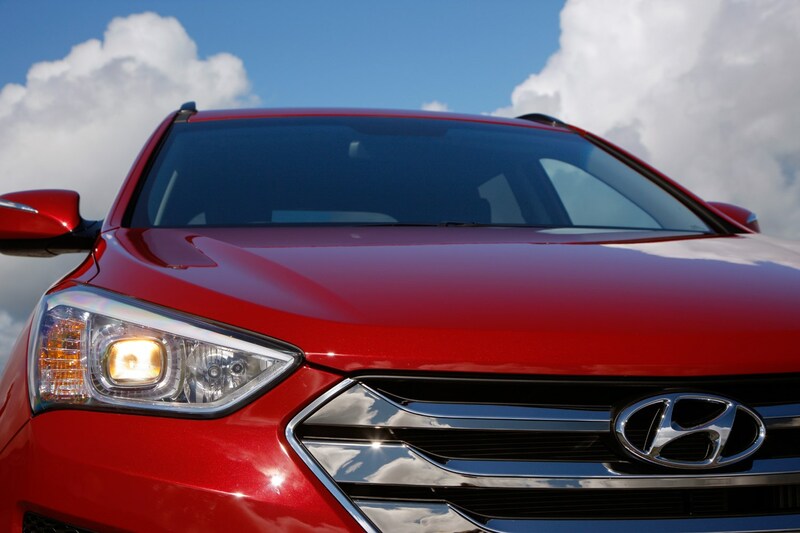 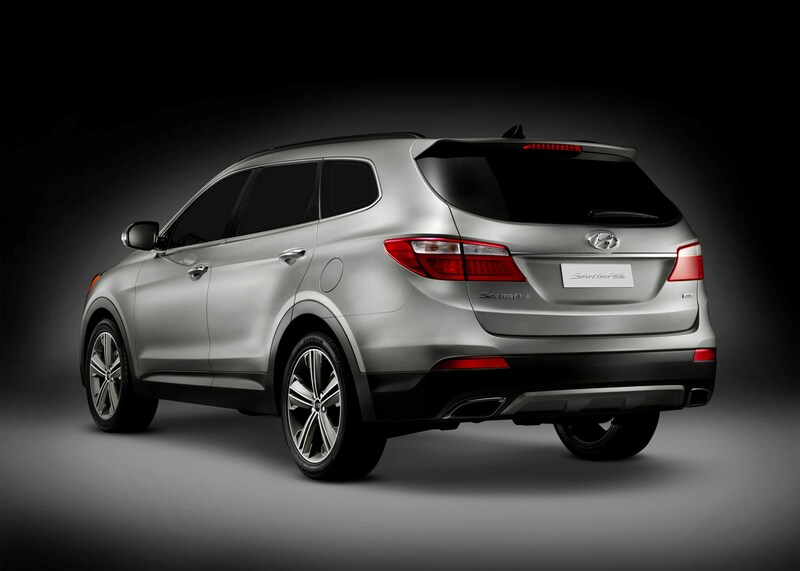 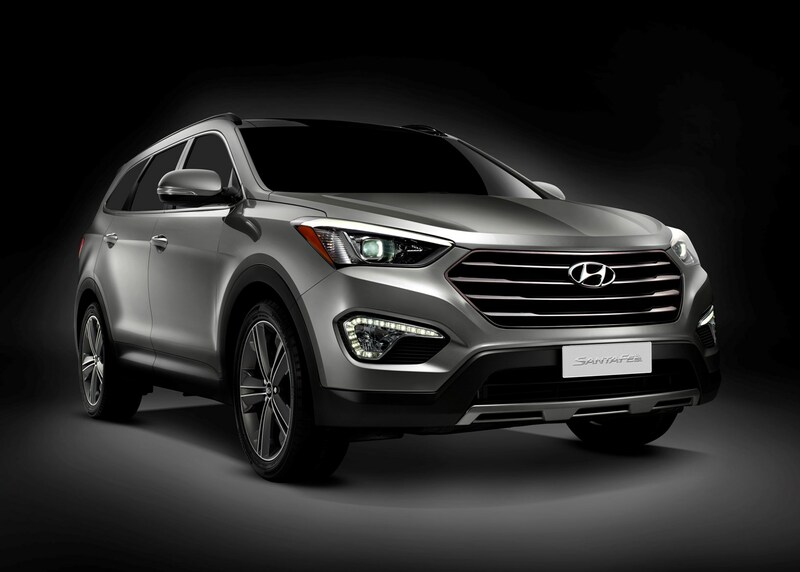 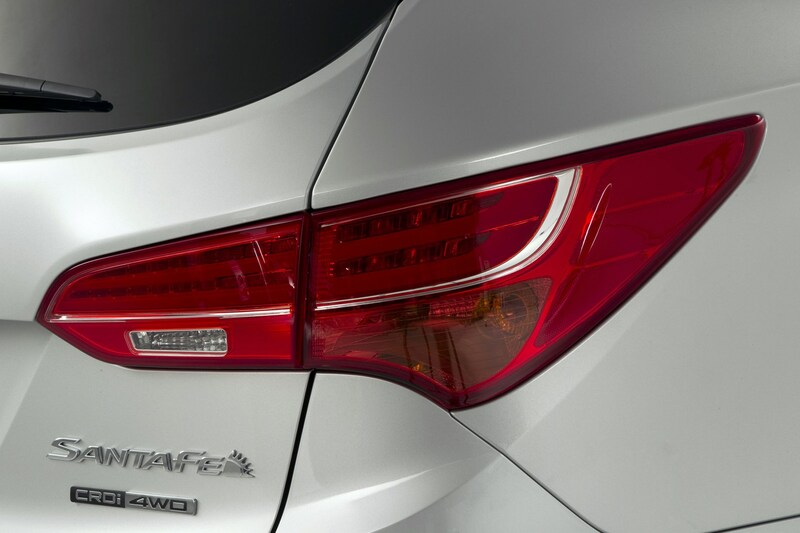 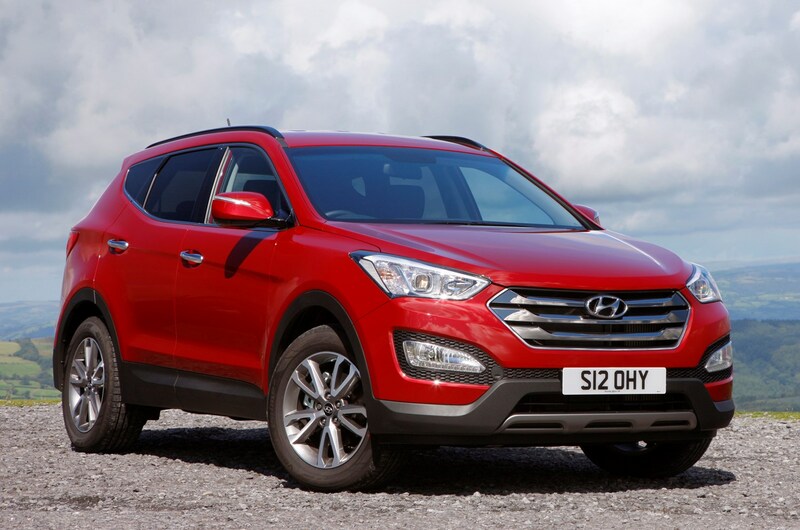 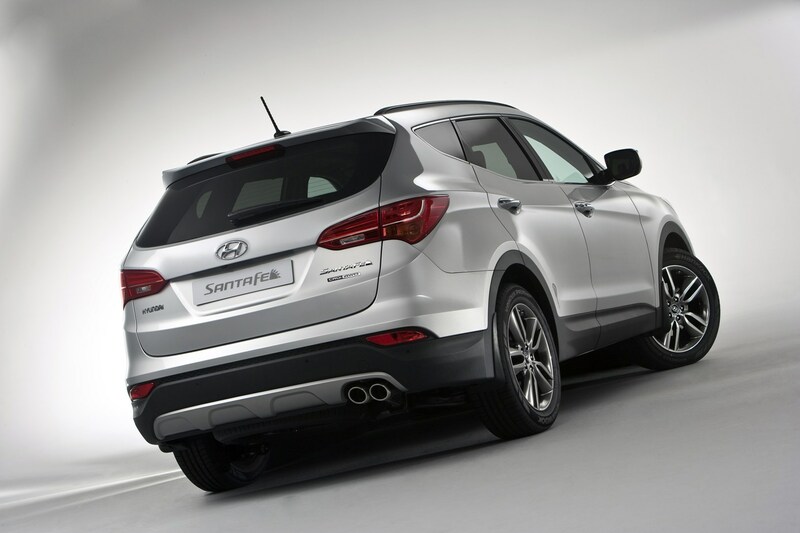 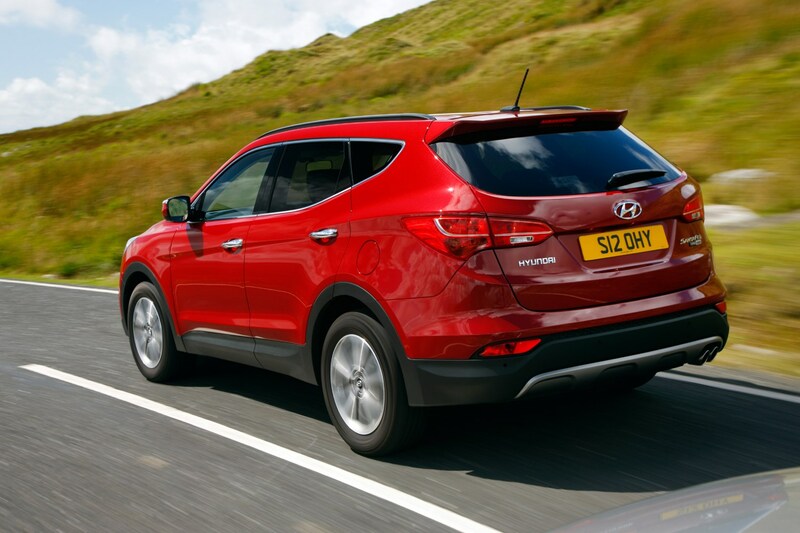 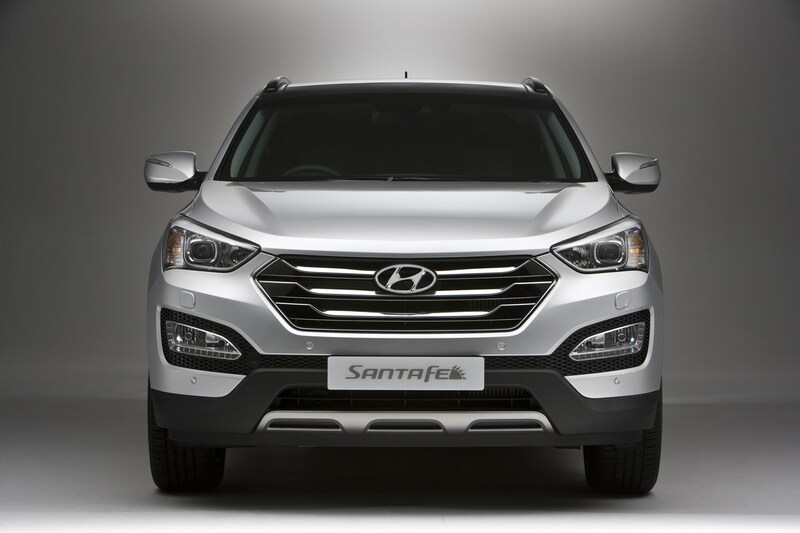 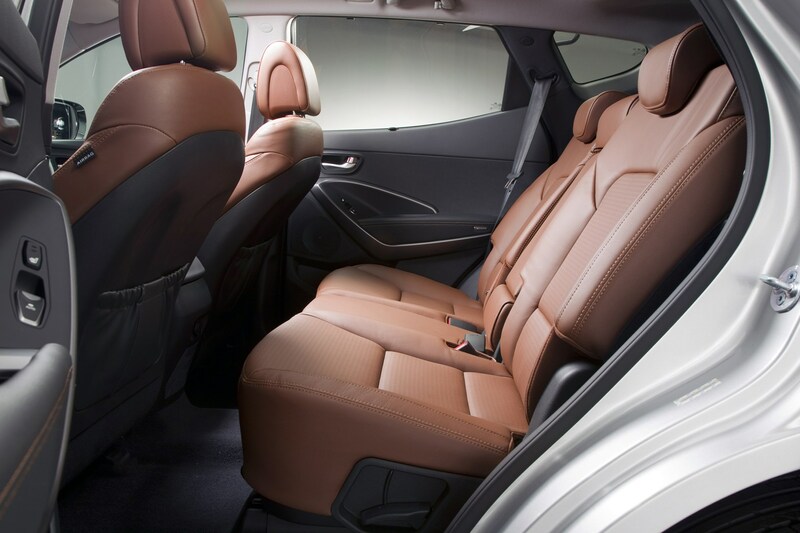 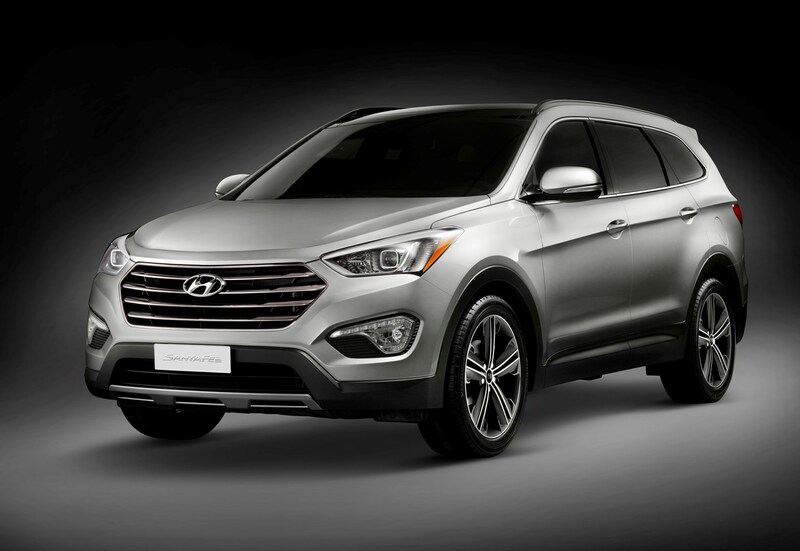 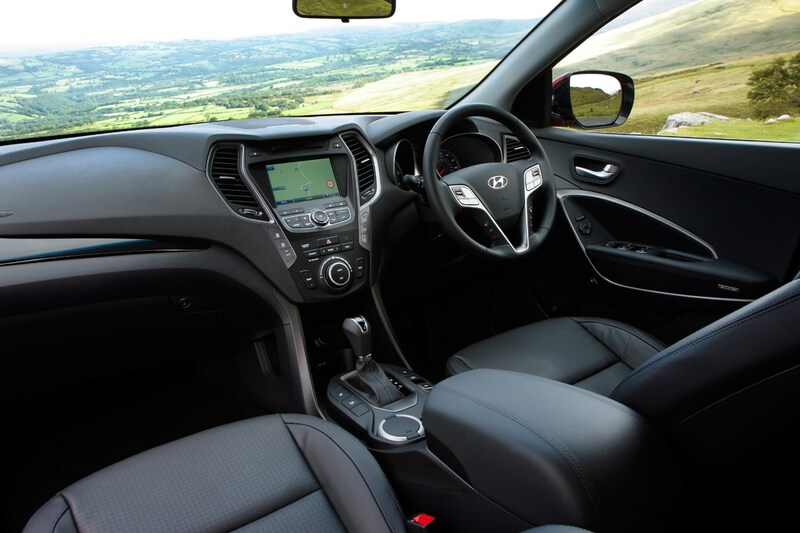 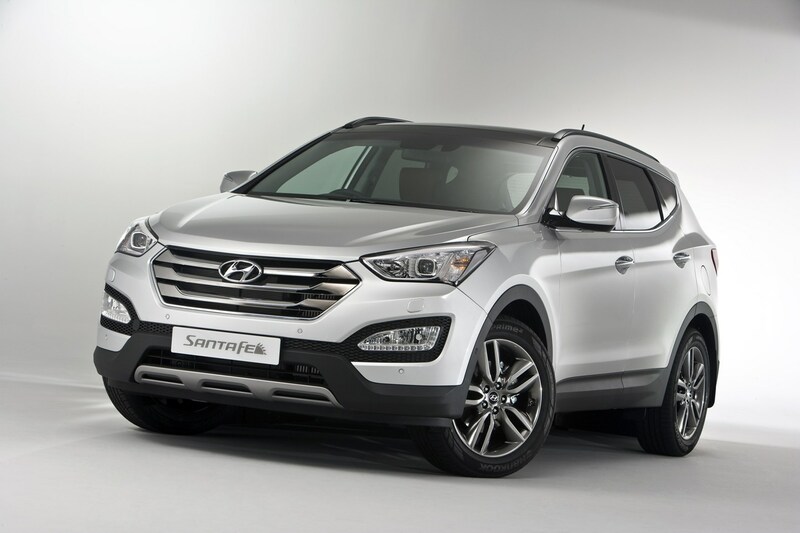 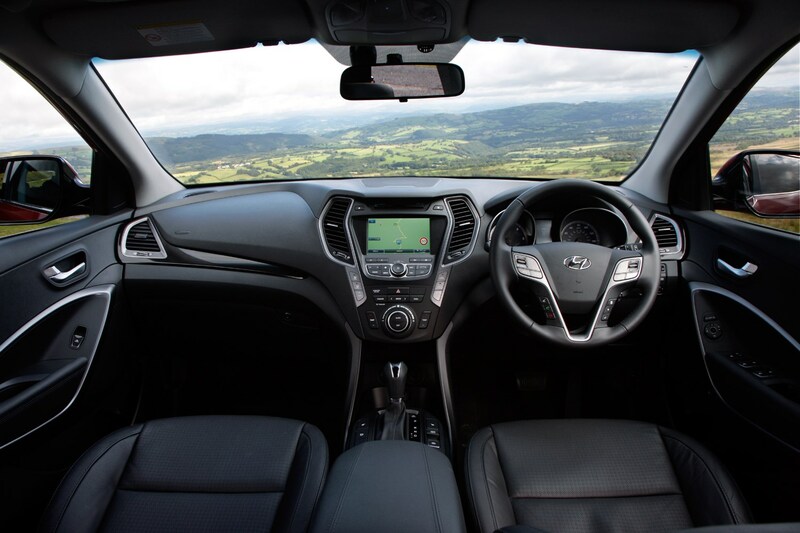 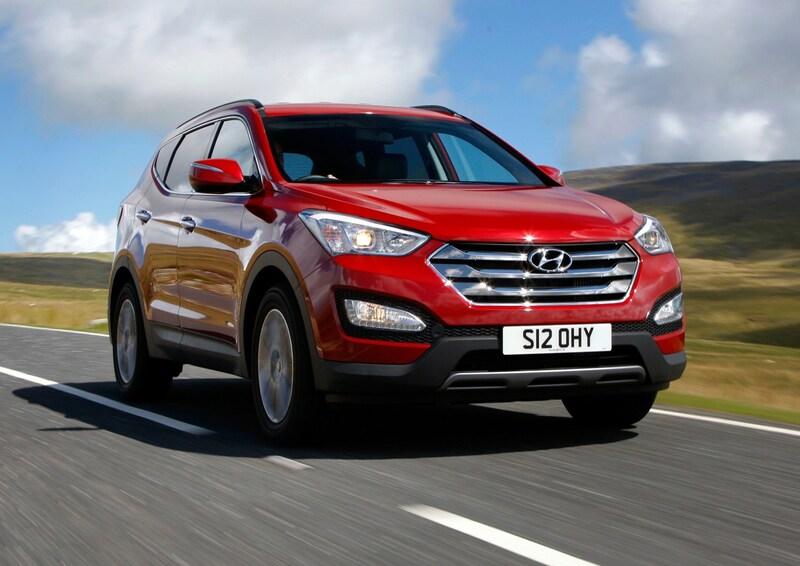 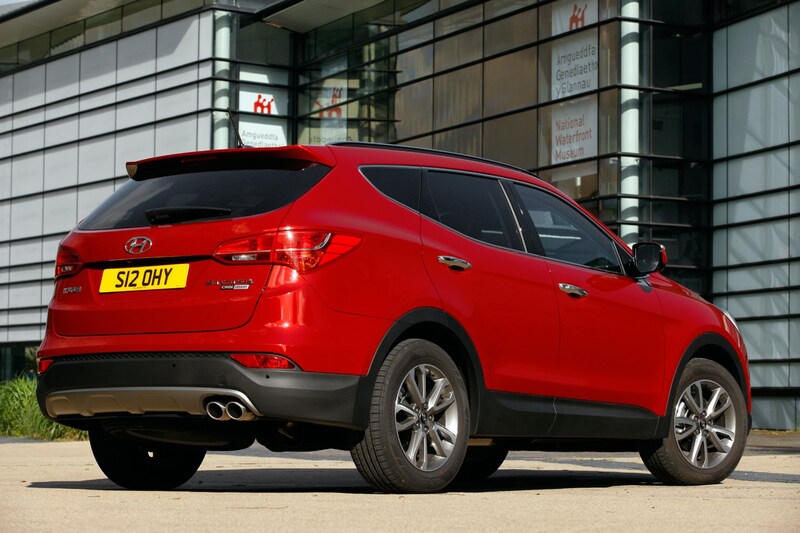 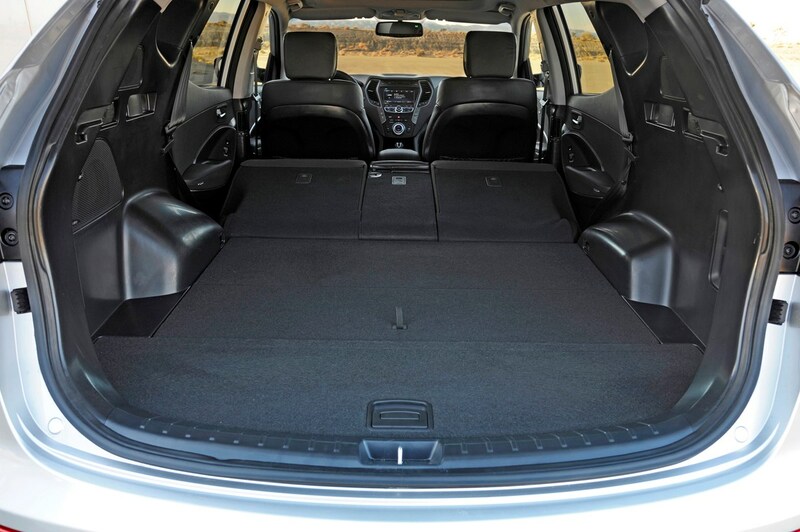 Did you know the most popular review for the Santa Fe range is the Hyundai Santa Fe SUV review.